Just released, the Q1 2017 YachtWorld Market Index reports shows sales volumes made strong gains both in Europe and the United States. On a percentage basis, the total price paid for the boats rose even more. As always, there’s nuance to the numbers, and a good example is found in our report on the UK market, which reported four straight quarters of growth. The data show increases in both power and sail segments, yet by length, not all were equal. 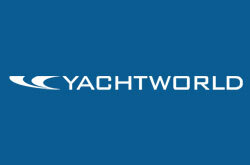 Interviews we conducted with brokers also described the style and brands of boats that sold best. Speaking of brands, once again, we report on the top 10 brands in the top 16 classes from the U.S. and Europe, focusing on sales in the first quarter only. Download the 21-page Index here and visit Boats Group site’s Published Data section to read earlier copies of the Index.